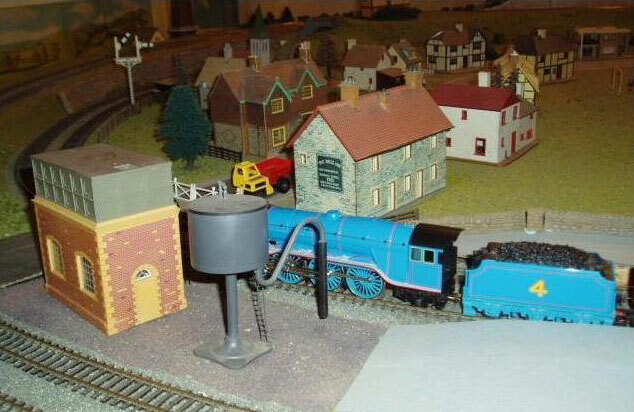 The layout is not specifically based on Sodor Island but has a lot of the features incorporated into it, such as the iconic windmill and 'Gordon's Bank'. The layout is push button operated but can be manually operated. Many of the characters from the series can be found on the layout including Thomas, Percy, Harold the hellicopter and the troublesome trucks.